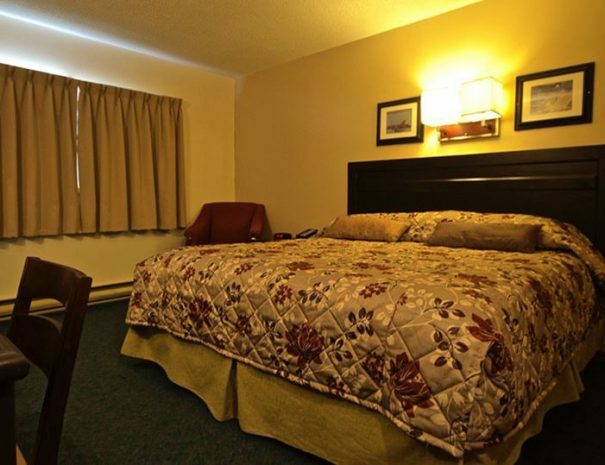 Polar Inn – Churchill's only Boutique Inn & Suites, your perfect home base for business, exploring and adventure. Experience inviting Churchill charm combined with comfort at one of our 25 rooms and suites. 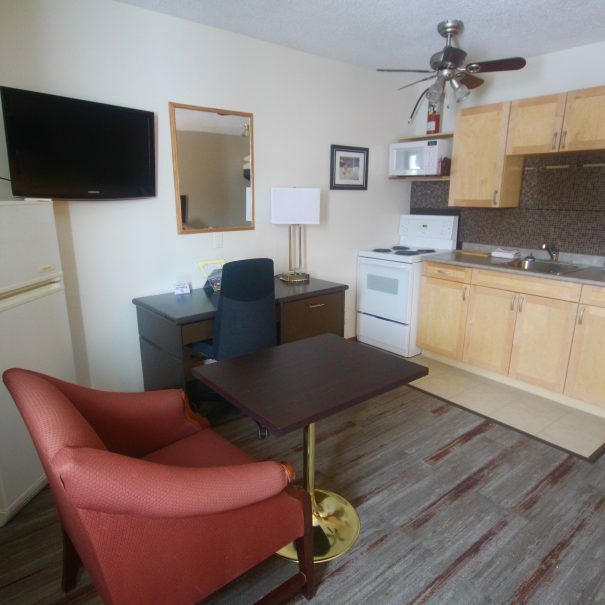 We hope to make your stay as comfortable and relaxing as possible and have recently completed all exterior and interior renovations. 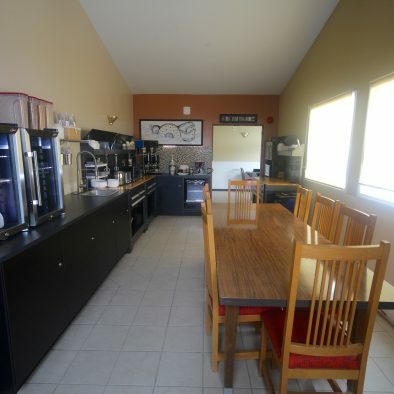 Friendly staff speaking English and/or French will greet you with northern hospitality upon room check in and checkout. Enjoy exploring our unique exclusive souvenir items in our lobby gift shop, lounging in the main lobby or on the beautiful outside timber frame front deck or within our green space equipped with table and chairs with coffee or tea. Family adventures create cherished memories for years to come. That’s why CHILDREN 10 and UNDER STAY FREE at Polar Inn & Suites. Choose from a variety of room types. 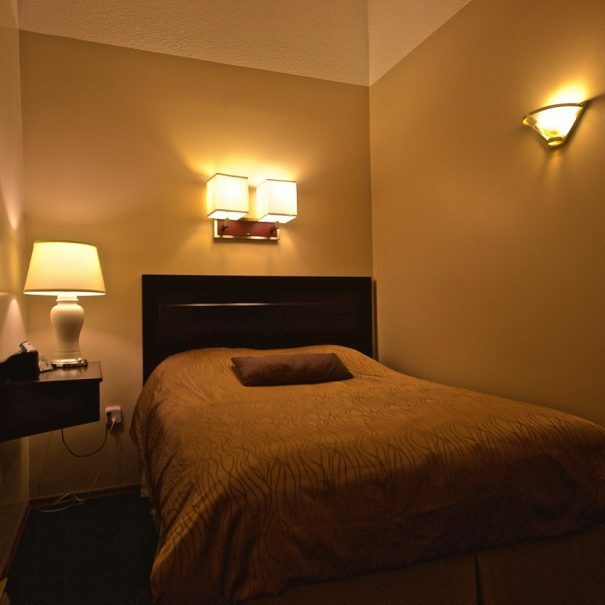 All our rooms have been recently renovated and we aspire to make your stay as comfortable as possible. 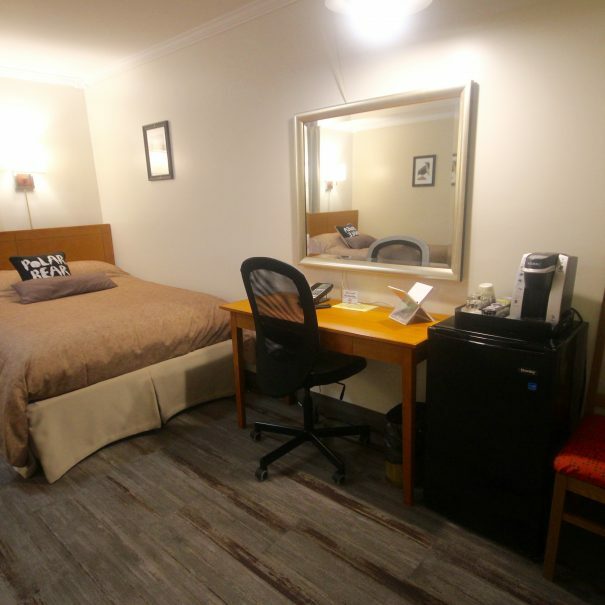 Guest Rooms feature a 32’ flat screen TV, movie & sports channels, phone with voicemail, clock radio with alarm, free wifi internet access, work desk and spare electrical outlet at desk. Bed features with spare pillows, blankets and duvet. 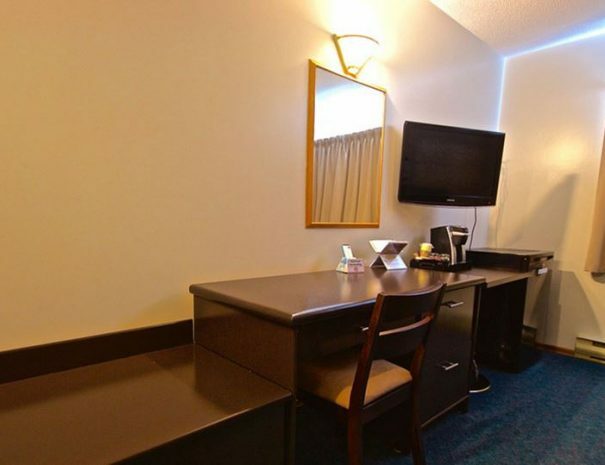 All Rooms have individual climate control, desk mirror, ergonomic desk chair, coffee maker and fridge. 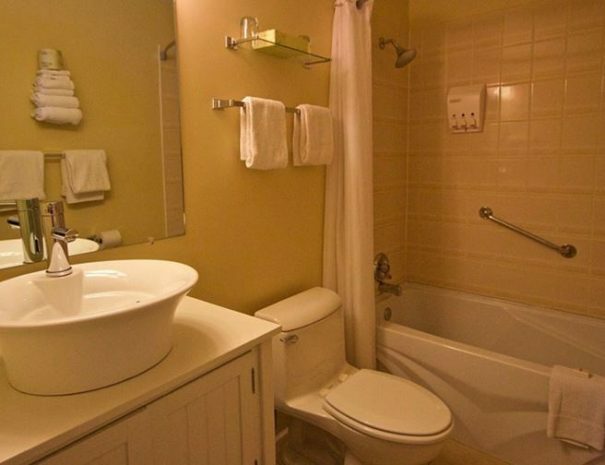 All rooms have a shower and tub, makeup/shaving mirror, hairdryer and smoke detectors. 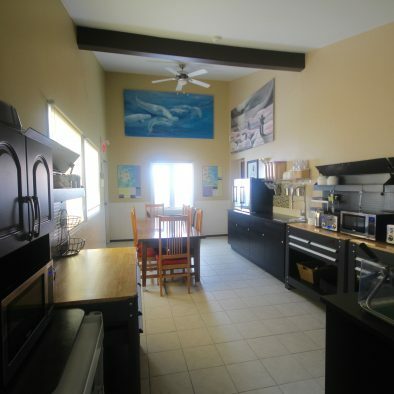 Kitchen suites and apartments include couch, fully equipped kitchen with stove, fridge, microwave, table and chairs. Book your accommodations today and reserve your spot. Available from 7am to 9:30am daily. • Belgian waffles made hot and fresh with blueberries. 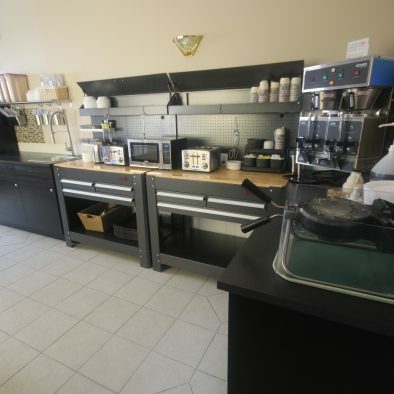 • Hot and cold beverages including coffee, tea, hot chocolate, orange and apple juice. 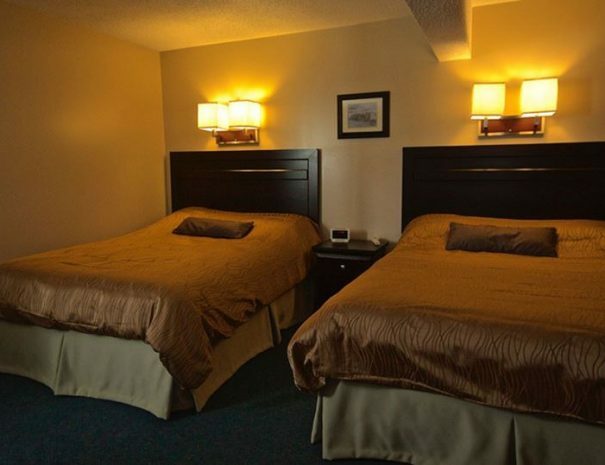 Polar Inn & Suites features a beautiful green courtyard where you can kick back and relax. 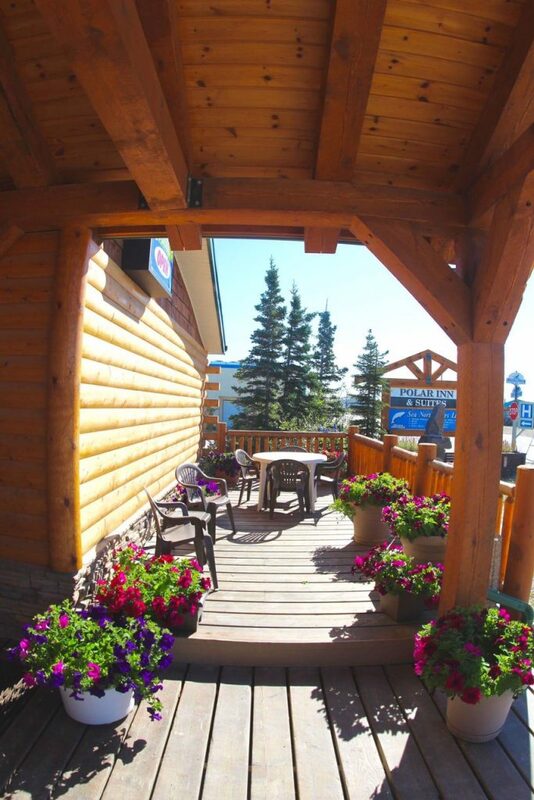 Enjoy our new timber framed deck nestled in among the flowers. 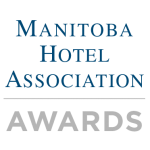 For outstanding contribution and loyal years of exceptional performance, and leadership to the hotel industry.